Mr Loh is a Physics tutor who provides home physics tuition on 1-to-1 or self-organized group basis. 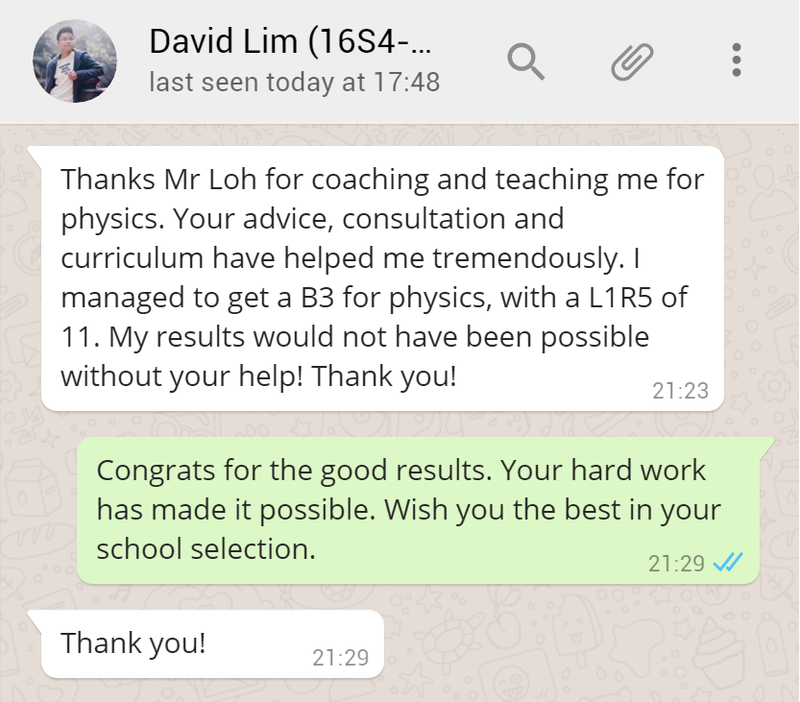 Physics tutor Mr Loh is a very experienced full time Physics tutor who teaches only O Level Pure Physics. He has been tutoring O Level Physics since 2010. 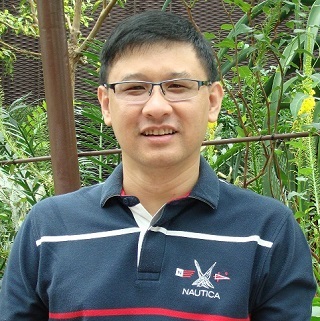 Physics tutor Mr Loh has represented JC for Singapore Physics Olympiad and was awarded Distinction for Singapore A Level Physics, Merit for Singapore A Level Physics Special Paper. He also consistently did well in Science and Math throughout his studies. Physics tutor Mr Loh is able to provide clear explanation of Physics concepts. His lesson notes is continually refined and the practice questions provided are widely-sourced and suitable. Thus, many students have benefited from his teaching. Check out his students’ testimonials and students results. Mr Loh tutors physics at the convenience and comfort of student’s home. The lesson topics will be customized to student’s school topic sequence. Revision practices will be provided to prepare student for Physics tests and exams. NOTE: Price varies depending on level. All time slots for one to one Physics tuition are taken. Please consider signing up for group Physics tuition class. Does not want to have tuition at home? Prefer to have tuition in a tuition centres? Prefer Physics Tuition in a group setting? Why not check out our group physics tuition. Call 8201 5955 to contact Physics Tutor Mr Loh now! Thanks Mr Loh for coaching and teaching me for Physics. Your advice, consultation and curriculum have helped me tremendously. I managed to get a B3 for Physics, with L1R5 of 11. My results would not have been possible without your help! Thank you! Many of physics tutor Mr Loh’s students have achieved significant improvements in their grades. For 2016 O Levels, 100% of students who joined private physics tuition by July 2016 have achieved distinctions in O Level Physics. Will there be a Free Trial Lesson for Home Physics Tuition? There is no free trial for home physics tuition. However, we can arrange a paid trial session for home physics tuition. Are there any other fees such as deposit, registration and material fees payable? There are no deposit, registration and material fees. Only the tuition fee is applicable. Who is the physics tutor? All one-to-one and self-organized home physics tuition are personally conducted by physics tutor Mr Loh. What are the payment terms for the tuition fee? Home tuition fees are to be pre-paid on the first lesson of each month. Let’s say, for example, a student starts tuition with us on the first week of November and there are 4 lessons on November. The student will have to pay his fee of $520 on his first lesson. The same fee will due first lessons every month afterwards.